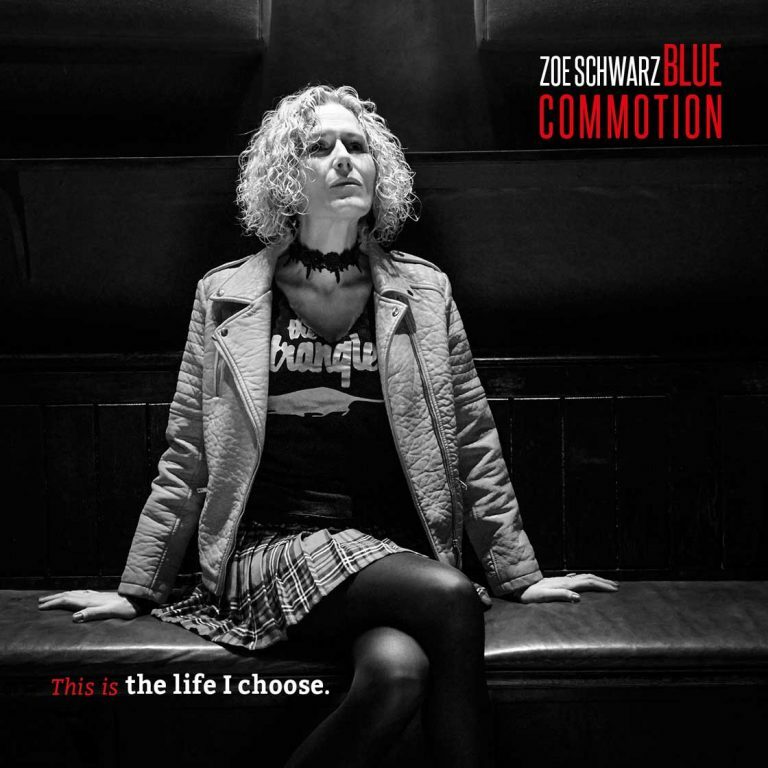 Zoe Schwarz is a British singer and with her band Blue Commotion, she has now released her 4th band album and her personal 9th ​​album on 3rd March 2017. Zoe Schwarz is not easy to put in: She does not sing blues with the deep and screaming blues voice, she does not sing jazz with the swing of the old ladies in the USA and she does not sing pop like her colleagues in the Brit charts. She sings blues, jazz and pop in her very own way and it is fun to listen to her telling stories. This stories do not tell us only about the sunny side of musician life or humanity. But they are also confessions about the „why and how“ of the musician life or of relationships. Her cover image depicts her as the sad clown – black and white photographed and her face pale. In the booklet the lyrics are supplemented with numerous notes by Zoe Schwarz, which give some hints on the origins of the songs. All 11 songs are written by Zoe Schwarz and Rob Koral. The texts are partly from poems by Pete Feenstra, a text author and promoter, or were quoted by Phil Coles. Only two bonustracks come from another source. The album starts with the riff-accented „hold on“ Bluesrock and describes the empty sleeve of an ending relationship. The intro of the song shows the bandwidth of Zoe’s voice. Rocky, bluesy and still filigree. „My baby told me so“ reveals the dark sides of the Blues musician: No money to pay the phone, no money for the car or the band. But life is too sweet not to continue. The arrangement starts with an acoustic guitar, then the warm Hammond organ comes to it and finally a great guitar solo goes in and you are right in the middle of swinging blues. And Zoe’s voice is silent and reserved. „People“ is a political song. At the very least, it concludes that Zoe Schwarz’s position is clearly to support disadvantaged people, no matter where they come from. People needs love, help, open arms and hearts. „Broken“ describes the burned out and hopeless people – where a little money and a smile helps already. Zoe Schwarz’s voice is soft, brittle, and shows the state of mind of a broken and stranded man. Zoe can not only sing Blues but Jazz too. And life also has nice sides, especially when Zoe wants to do something with her lover in „I wanna get something started with you“. She is singing with swing and trying to confuse his senses . „I’m free from you“ describes the violence in the relationship. Musically more on the rock side of the scale, the song describes the escape from a violent relationship comprehensibly. In Zoe’s voice you can hear the hardness, but also the little remaining love with the violent one. Also „Exit“ referres to terminated relationships. Zoe Schwarz also often makes a self-positioning: Who am I and where do I want to go? „The Life I choose“ and „I can not live like that“ describe the life of the blues woman in dark blues clubs, the life that the mother and the teacher have already warned. Always think from one gig to the other, until you have money in your pocket to continue. But „No money in my pocket“ is exactly the life that Zoe wants to have. Zoe Schwarz can also be romantic. In the „Call of the night“ folk song like she tells of the beautiful hours at the beach when the sun goes down and the lights go out. Here is a lot of acoustic guitar. Two exceptions are the bonus songs, because they originate from other author’s pens. „We’re going wrong“ is by Jack Bruce and “feeling good”, sung by Nina Simone. 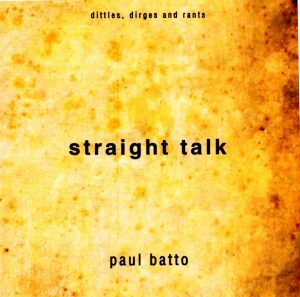 For the two musicians Rob Koral and Paul Robinson these singe are reminiscences of the old songs and sounds. My favorite songs on the album are „My baby told me so“ and „I wanna get something started with you“ because they underline best Zoe’s voice, and because Zoe Schwarz Blue Commotion widely link blues, jazz and pop rock together at its best. The album „This is the life I choose“ has been released at 33 Records and is distributed under the catalog number 33WM156 at Proper Note.